Also, a Mass said for a person during life or death is worth immense value because the Mass is the memorial of Jesus Christ's sacrifice of the Cross. Mary, in one apparition, once told someone that Our Lord would die for us again as many times as we have heard Mass. 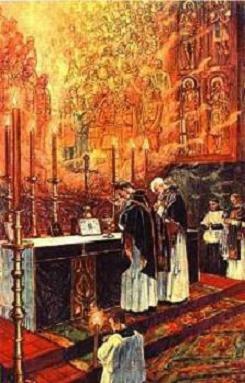 The Mass is extremely important. Join me this day by visiting cemeteries in your area and there praying the Rosary or the Office of the Dead. And take advantage of the ability to visit a church today and pray the prayers (as mentioned above) for the Poor Souls. 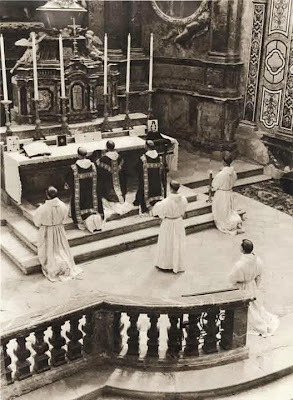 You may leave the church for a few minutes and go back in to repeat the prayers, and continue this as many times as possible on November 2nd. Take advantage of this (the toties quoties indulgence) and help the Poor Souls.